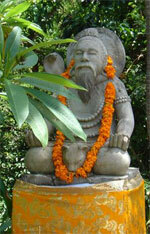 Tjokorda Gede Rai is a master healer and fountain of traditional knowledge and wisdom. He bridges the traditional models and symbology of Bali with the modern context with an ease that is irrepressible and fascinating, and full of a resonance which is deeply transformative for all who encounter him. 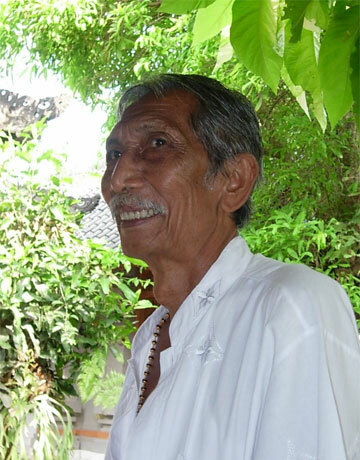 Besides his healing work, which is particularly sensitive to identifying and correcting imbalances in the body-mind system, he teaches his own system of modre, gestures and movements, called 'Pranala' to enhance the balance of mind and body and aid accomplishment and fulfilment in daily life. Tjokorda's work – with its emphasis on development through the balancing and lively integration of opposites – is a modern and extremely relevant expression of currents that profoundly shape the Balinese way of life. Tjokorda's approach has subtly moulded the direction of Nirarta from its inception, without any thought of it having to be so. Jan is a leading coach, consultant, and trainer from Belgium, with whom Peter shares two decades of deep friendship and creative and professional collaboration, in many countries. A certified Gestalt Therapist and respected expert in NLP, Jan has pioneered innovative systemic applications of NLP in business and organizational consulting. Recently he has brought the modelling of strategies of excellence to the centre of coaching and leadership development. Jan, teaches internationally, sharing his passion for a way of thinking that is rooted in the heart and respectful of life's intrinsic aesthetics. He is the developer, with Peter, of the seminal concepts of the approach underpinning Nirarta, which we call the 'Way of Unfolding'. He lives in Antwerp with his German wife Wiete and two sons, Kobe and Jesse. 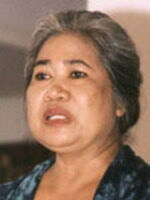 The Osgoods have been traveling and teaching in S.E Asia, the South Pacific, and Central America for many years.